Ever since I have watched the movie Julie and Julia, this French word got stuck somewhere in my brain. Even how Meryl Streep would pronounce it in low resounding alto voice, over her usual high-pitched tone, would draw me into the whole Julia thing. and hold it in creamy suspension. Then she and her husband ate braised artichokes dipped into a bowl of it. I knew then, that I had to try making it. Hollandaise sauce is made of warmed egg yolks flavored with lemon juice, into which butter is gradually incorporated to make a thick, yellow, creamy sauce. 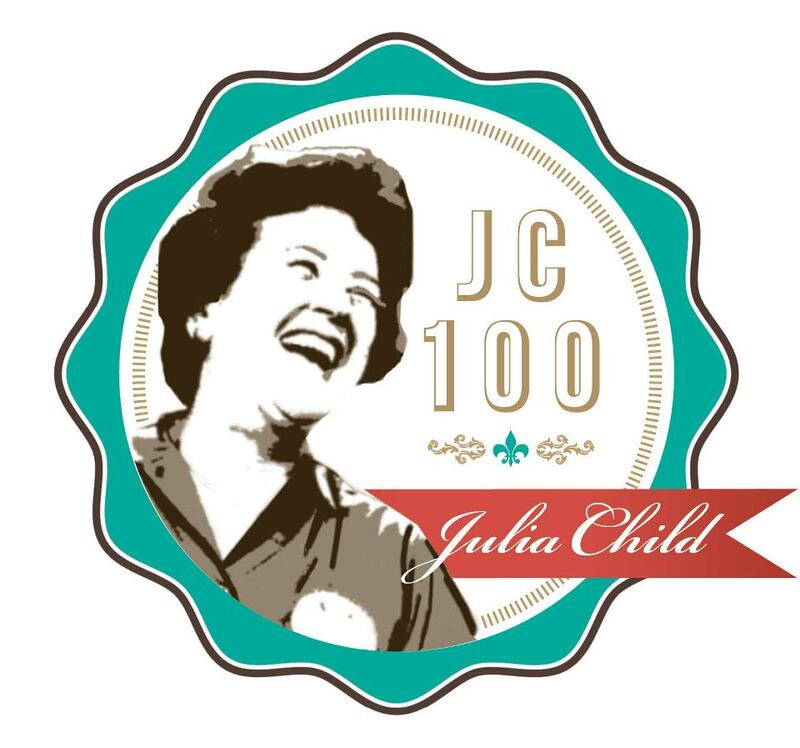 Of course, since yesterday, August 15, 2012, was Julia Child's 100th birthday, I challenged myself to get to it and banish my fear of French gastronomy. Tell me have you ever tried a dish smeared or topped with Hollandaise Sauce? The recipe I used is by far, the easiest to understand. Trust me no need to be scared at all, it's easy to make. 1. In a small saucepan, beat egg yolks until thick, about 2 minutes. 2. Add 1TBSP of cold water, a squeeze of lemon juice and salt and beat for another minute. 3. On very low heat, add 1Tb of butter and continue whisking until eggs become thick. You want to be able to see the bottom of your pan as you're whisking. This means that no sauce sticks to the pan. 4. Turn off heat and prepare to mix in melted butter. Very slowly pour in softened butter into the egg mixture as you are whisking. Continue to do this slowly until all is added. 5. Once thick, add more lemon juice, salt and pepper to taste. 6. Pour sauce over blanched asparagus and dust with lemon salt and parsley. With these recipe you can make two cups of the sauce. Oh lookie, how it turned my usual Fried Tilapia into something French-y. Thank you Julia! I didn't imagine making this could be this easy and fun. Quite a milestone this day is, not only that we savored a gourmet sauce, my son even scored quite a number of those asparagus - he doesn't eat veggies. Did I tell you that we are still in utter bliss, after that lunch? Hi Nicole, hmm, that would be the question, i think there will be quite a different take on it. You see, the Hollandaise sauce is mix of salty, buttery, and lemony-tang. Lemon has that acidity that oranges lack. Also, oranges are sweet and less sour, so that would give out a sweet and different take all-together, but let me do an experiment though. Hope that helps, but let's stick to the recipe this time. I'm sure you will love it as well! Yes, the Julia Child spirit is in you. Lately, Italian cooking has become famous because they said that it's healthy and really quite easy, unlike the greasy, buttered-all-over, difficult and complicated techniques in French cuisine. But I have to admit, though I'm a lover of Italian food, French dishes rock! The butter and all the fringes, and the smooth silky sound of French, as you pronounce the names of each French dish and delicacy. Ah, heaven! Anyway, as long as it is food I love it. Hahaha! Congratulations to your well done Hollandaise sauce, and the Franco-Philippine Tilapia. Tasty! Oh yes! Like in the movie, I can feel that Julia was with me while I'm doing the Hollandaise sauce, if she was really there she might have laughed all along, as I was going to and fro the kitchen and living room. I actually got a bit dizzy after the cooking, hahaha. Next up Bruschetta! Is this Italian? Oh that's very Italian! I love them!!!! Julie made those in the movie too. hahaha! Puro Julie&Julia lagi ang references eh! to make an extra income or if you want to turn it into a full time income. As mentioned earlier, it is not as difficult as you may imagine. blogs bring the most traffic then add and delete from your list accordingly.